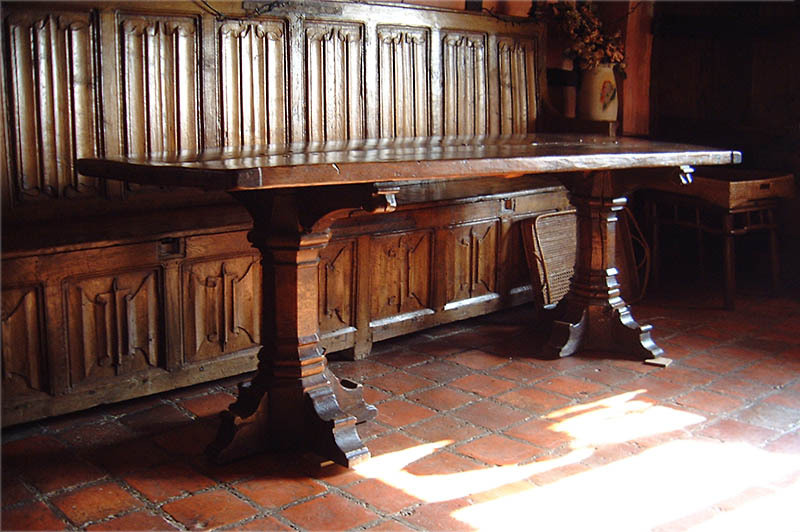 We're delighted and rather excited to have been commissioned to make a copy of this Medieval style trestle table, which was originally designed and handmade by our managing director, Nicholas Berry, over 20 years ago, from old reclaimed oak. He also designed and made the linen-fold panelled settle behind and laid the French terracotta floor, in this 17th century thatched West Sussex cottage. Our current client already has a four poster bed, made for them a few years ago.